Apparently not satisfied with giving you the instant equivalent of military sniper training, the folks at Trackingpoint have just whipped up another super power for you: the ability to see around corners. 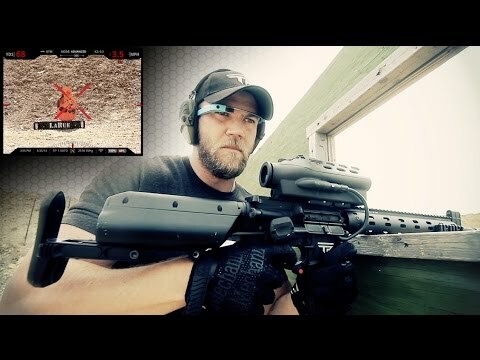 They’re calling the innovation Shotview, and what it does is link your smart rifle’s sight to your phone, tablet or Google Glass. By networking your sight and your headset, you see everything your gun does, streamed in real time. Basically, when you want to give yourself your gun’s POV, you simply select your scope as your Wi-Fi server, open your Shotview app and you’re suddenly able to see whatever your barrel is pointed at. With a little practice, this means that you’ll be able to aim your smart rifle from around corners or behind cover and still have all the precision of a trained sniper. Unless you’re out there stalking things with Spider-Man’s sixth sense for danger, your prey doesn’t stand a chance.